of the collected data to the RAMIS website. up the materials for shipment. Its easy when you can use a RAMIS scanner to scan the bar code on each carton received and then compare the numbers scanned to those the publisher provided on the RAMIS website. You can instantly determine not only if all of the cartons have been delivered but whether all of the cartons belong to your district. Shipping to the schools is easier using RAMIS too. Simply scan each of the cartons labeled for each school, and then compare the numbers scanned with the publishers list of cartons for that school. It couldn’t be easier. track of all of the test booklets and answer sheets. thousands of cartons and millions of test articles are located is bound to be a huge help! Add to that the ability of RAMIS to tell you exactly what is in each shipping carton before it even arrives back at your scoring center and you are way ahead of the game. RAMIS is the tool that takes the mystery out of where all the pieces of the puzzle are. Hundreds of boxes arrive at your warehouse for every test. How can you quickly make sure that all of the cartons assigned to your schools have been shipped and received? Using a handheld, wireless barcode scanner makes counting and collecting incredibly easy, while reducing stressful, time consuming labor. In addition, the confidential login ID and password keeps all data secure on the RAMIS website. Reports are available right on the website sorted by school, grade, subject, teacher and any other related data. Quick, simple, secure. When you think about all the work teachers and students put into assessment testing, why not make sure that none of it is wasted? Use a proven system of accountability. One that is so easy to use. 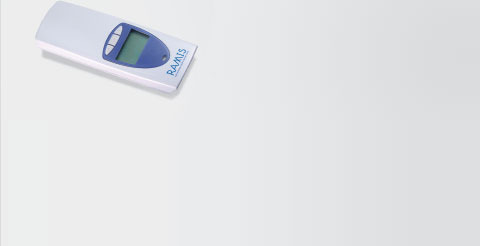 RAMIS by Data Collection Partners. Don't just count - Confirm. Fast, accurate & secure assessment material tracking. "Loved the capability of scanning - seeing the reports, the variety of reports. Great for inventory."